Chicken, beef or pork: they might land on your plate, but are they climate killers? That debate has picked up steam in recent years amid greater awareness of climate issues and a growing trend of vegetarianism. American author Jonathan Safran Foer brought the issue to the forefront with his controversial book Eating Animals in which he condemns factory farming and commercial fisheries. Climate scientists and agricultural experts around the world, though, are on the fence. They are still working to determine the extent of the impact of the livestock industry on the environment. What remains undisputed is that animal husbandry does generate harmful emissions. Firstly, the animals themselves release emissions — cows, for example, produce methane gas in the digestion process. In addition, the entire industry contributes to the greenhouse gas effect, from the fertilizer on the fields to the transport of feed for the animals and the use of milking machines. The job of scientists, then, is to figure out just how high those emissions levels are. Yet they often use different research methods or factors in measuring emissions and come up with different results. And that has sparked a debate over which numbers to trust. 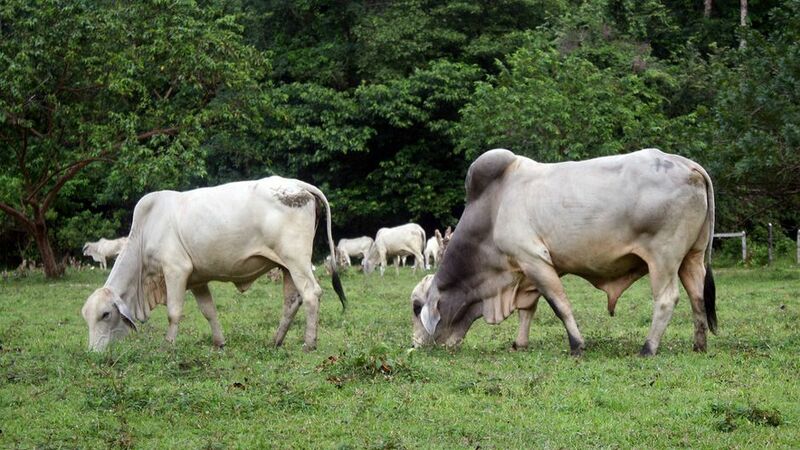 The Food and Agriculture Organization (FAO) says that animal husbandry is responsible for 18 percent of global greenhouse gas emissions, based on a 2006 study called “Livestock’s Long Shadow”. 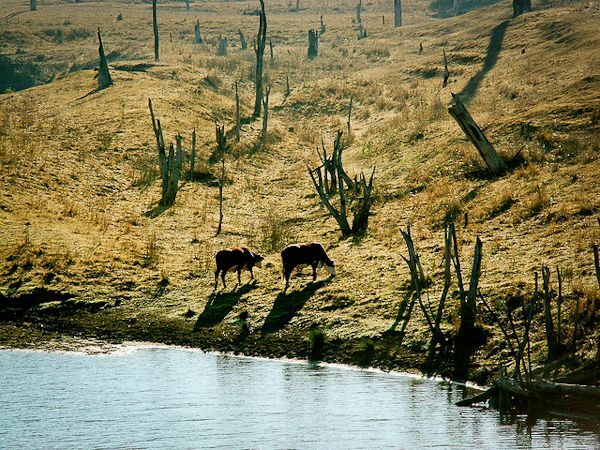 But in 2009, the Worldwatch Institute (WWI) released a study called “Livestock and climate change” — authored by two former World Bank environmental specialists, Robert Goodland and Jeff Anhang — that placed the emissions level at an astonishing 51 percent. Klaus Butterbach-Bahl is researching the relation between livestock and climate change at the Karlsruhe Institute of Technology in Germany and the Livestock Research Institute in Nairobi, Kenya, and says he himself wonders how the measurements can vary as much as they do. Butterbach-Bahl and his colleagues believe that agriculture worldwide contributes to a third of global greenhouse gas emissions — a number he says has been published various times. Danish climate researcher Sonja Vermeulen and Oxford University professor John Ingram published a cornerstone, frequently cited study in 2012 called “Climate Change and Food Systems” in which they also attributed a third of global emissions to livestock. When rainforest land in Brazil is cleared for a soybean farm, for example, crucial carbon storage capacity is destroyed: the soil binds CO2 and the forest itself acts as a massive carbon sink. By including changes in land use, this form of analysis goes deeper than the FAO study. But how do researchers come to 51 percent? The Albert Schweitzer Foundation, a German animal protection organization, took a closer look and compared the WWI and FAO studies in detail. They found that both parties provided inconclusive data: the WWI exaggerated the data while the FAO took too narrow a perspective and worked with old data, the group says. The reality is that climate studies remain a world apart. 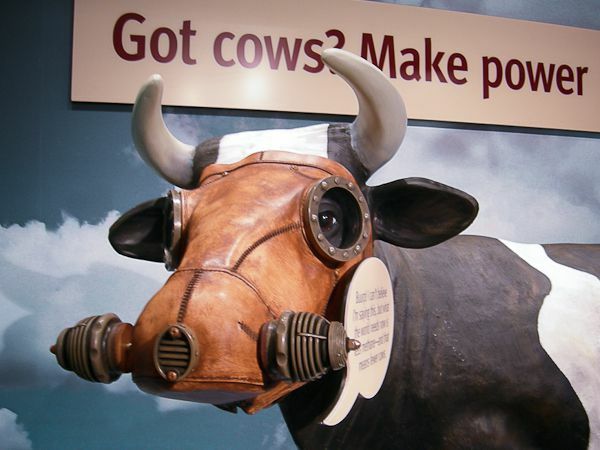 The WWI, like many organizations, measures methane emissions from cows separately because the gas is considered 25 times more harmful than CO2. But the institute also includes lesser-known, more obscure factors, like the effect that the animals’ breathing has on global warming, and the number of missed opportunities to reforest plots of land. Those quantities make the entire evaluation difficult to understand, argue some. “You then have to wonder if you should have calculated every type of missed opportunity,” researchers at the Albert Schweizer say. All the contradictory data has sparked a new debate in Germany about vegetarianism and eco-friendly eating patterns. At the center of the discussion is the livestock industry’s high emissions rate. But veterinarian and author Anita Idel believes that livestock animals have been wrongly labeled as climate killers. She calls cows “landscape gardeners“ that have contributed to soil fertility for thousands of years. Not to mention that grazing generates humus, which binds CO2. Cows release methane gas into the atmosphere — a pollutant that’s considered 25 times more harmful to the environment than CO2. Photo: Jill Siegrist. “Most studies on the impact of livestock on the climate are unscientific,“ she argues, pointing out that researchers often take into account only one side of the problem. Sustainable livestock production avoids using synthetic fertilizers and relies on grass as feed rather than grains, soybeans or corn plants, Idel points out. “There is a massive need for more research comparing the various systems of animal husbandry,” she says. Instead, she believes the animals’ effect is often studied within the confines of industrial agriculture, which is already a climate offender. And Idel says synthetic nitrogen fertilizers that generate nitrous oxide are 300 times more harmful to the environment than CO2. “Limiting your studies to methane is interest-based and discriminates against sustainable agriculture,“ she says. Klaus Butterbach-Bahl says the answer is simple: the livestock industry must change, because too many animals over-graze land too often, and too intensely. Such degraded areas can no longer bind CO2. Torsten Schäfer is a Deutsche Welle reporter. Allan Savory: How to green the world’s deserts and reverse climate changehttp://www.youtube.com/watch?feature=player_embedded&v=vpTHi7O66pI#!